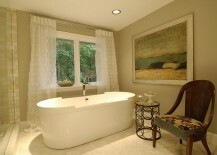 Modern bathrooms have come a long way in the last decade both in terms of aesthetics and functionality. 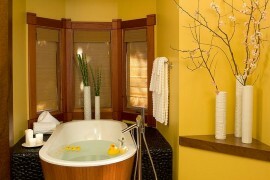 Today’s bathrooms can act as serene, rejuvenating home retreats that offer soothing spa-style affluence. 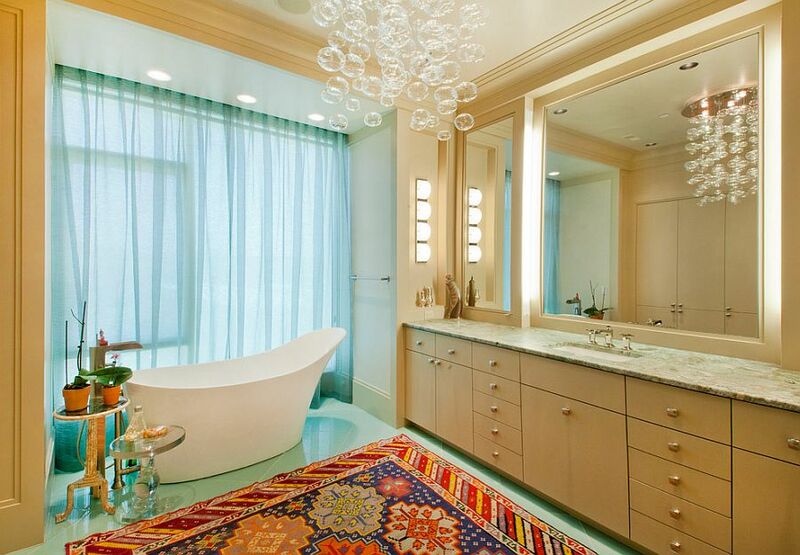 Of course, a dream bathroom like this demands both space and resources that not all of us can afford. 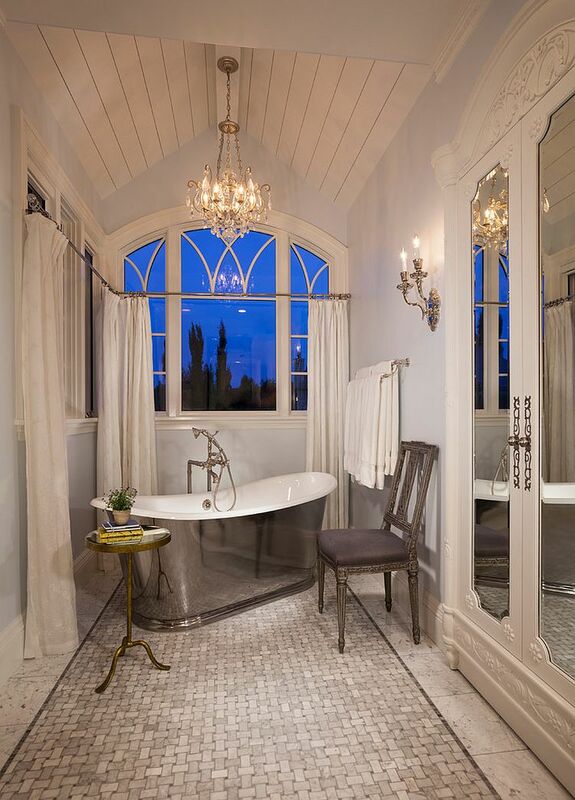 But there are still little touches that can turn even the most mundane and modest bathroom into a far more exquisite and tranquil setting. 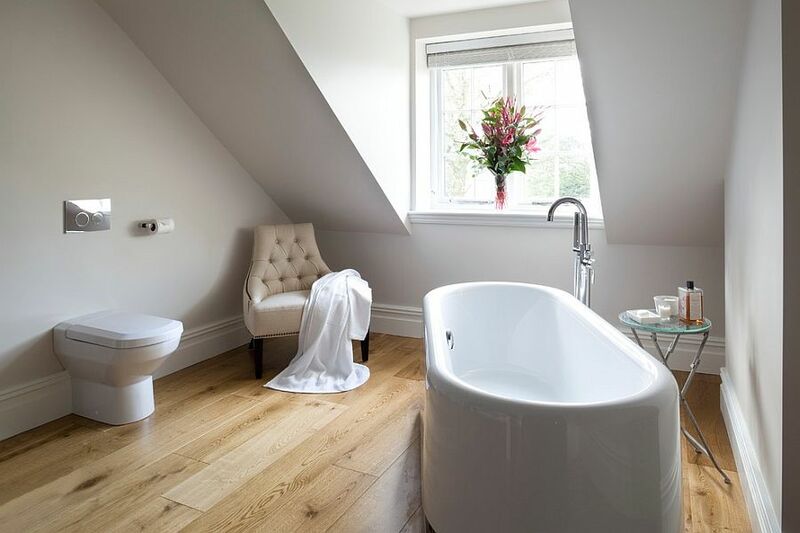 With standalone bathtubs becoming all the rave recently, a small side table is one such wonderful addition that will alter the ambiance of the bathroom. 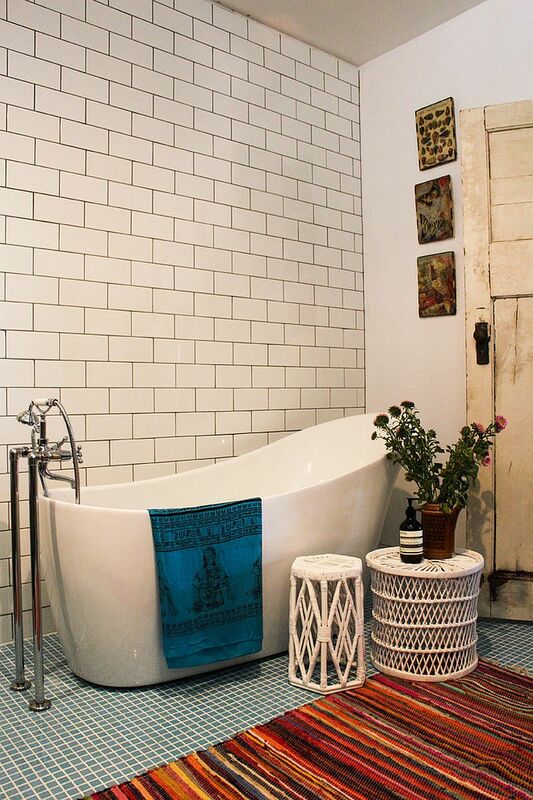 The small side table next to the bathtub is more of a stool in most cases, but don’t let semantics put you off. 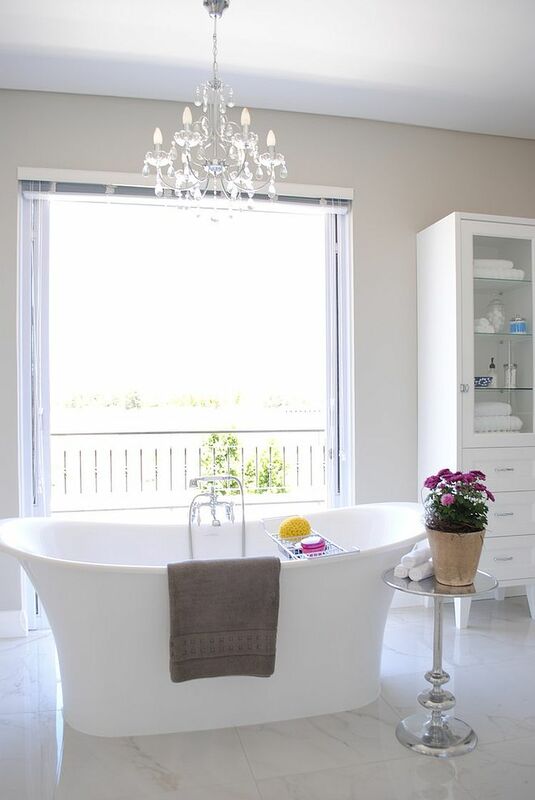 It is a place for everything ranging from the latest magazine to shampoo and towels – whatever you feel needs to be within reach as you take a refreshing soak after a long hard day. 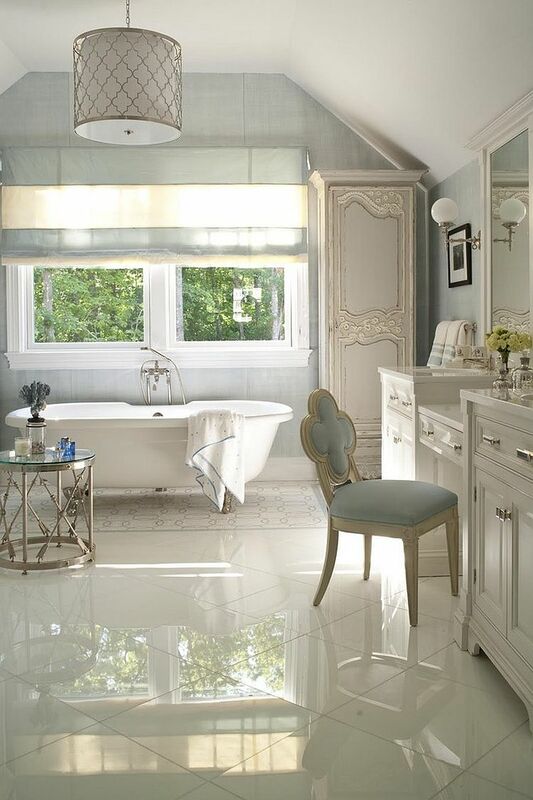 The 30 mesmerizing bathrooms on display today will surely inspire you to consider this style upgrade as well. 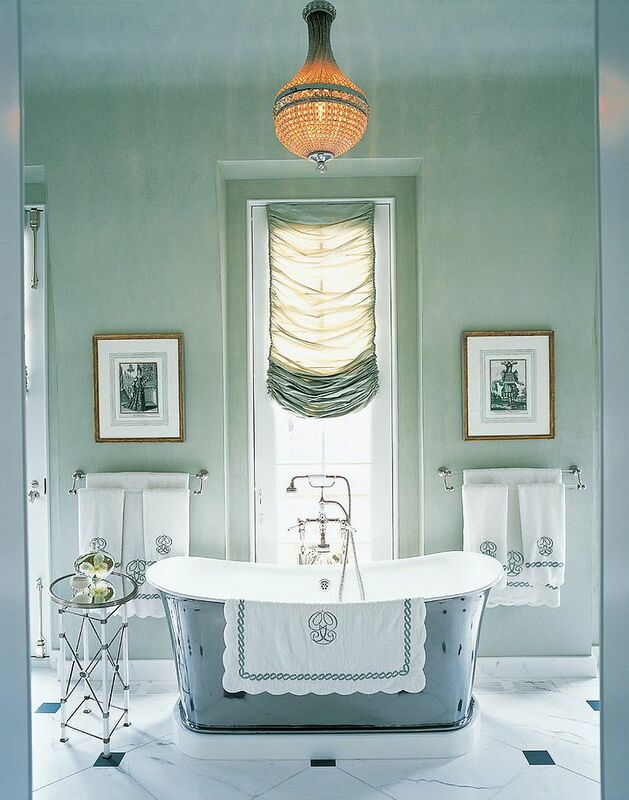 If you already have a style or theme going in your bathroom, pick a small stool, cart or side table that complements this style and accentuates it elegantly. 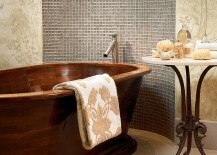 The choice of the side table next to the bathtub can also be influenced by the style of bathtub and its material. 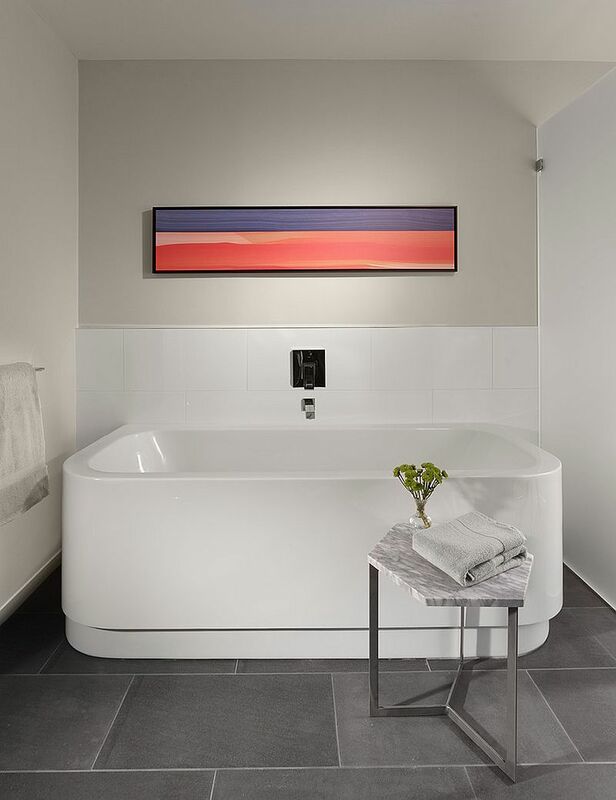 While classic, freestanding claw-foot bathtubs require a more traditional choice in terms of the side table, and contemporary ceramic tubs combine well with sleek metal and glass side tables. 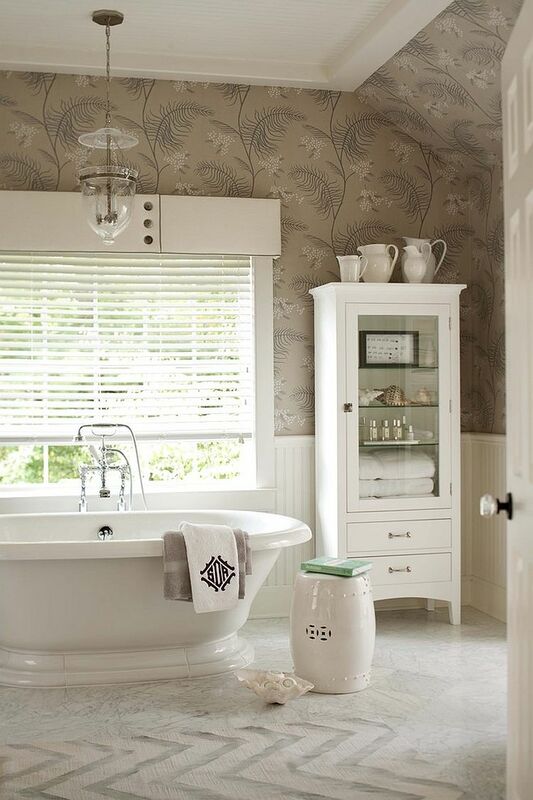 A small addition such as the Chinese Garden Stool or the Martini Side Table will surprise you by becoming the focal point of your bathroom. 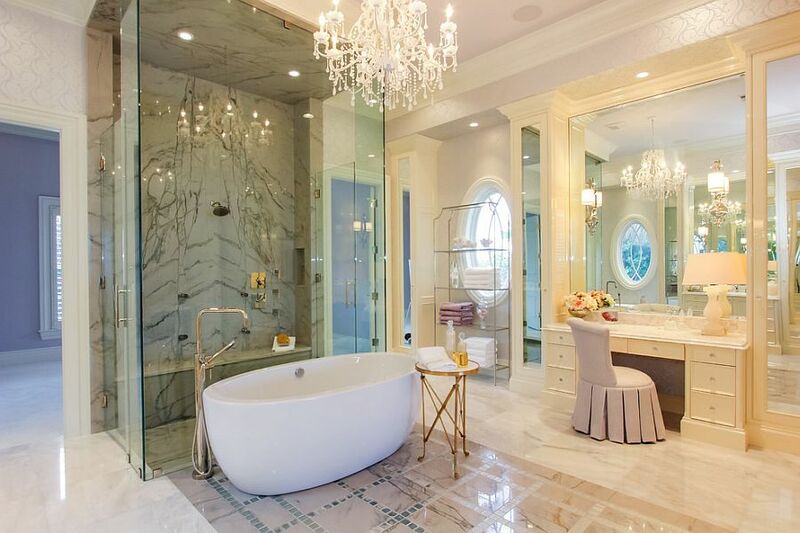 Space is obviously a big constraint in most bathrooms, and there is probably not enough space for a really large stool or cart next to the bathtub. 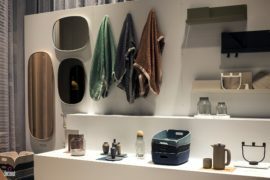 A simple side table that is ultra-sleek in its form can hold stuff such as towels, bath accessories and a bottle of wine with ease, and most of these petite additions take up little square footage. 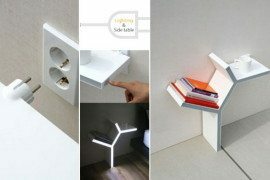 Some of the really tiny side tables also come with several shelves that offer multi-level storage options and double as a wonderful display. 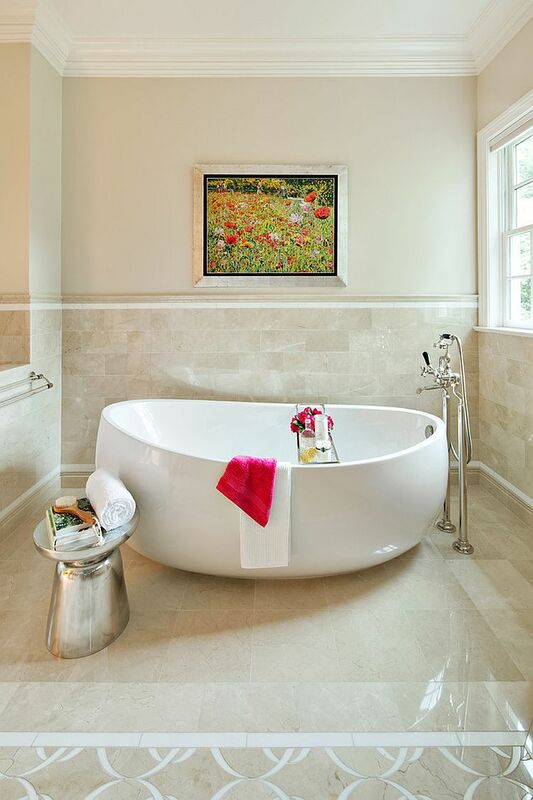 If all else fails, then a simple cart on wheels is a smart choice, and you can simply roll it away (maybe under the floating bathroom vanity) when you are done with the energizing soak. 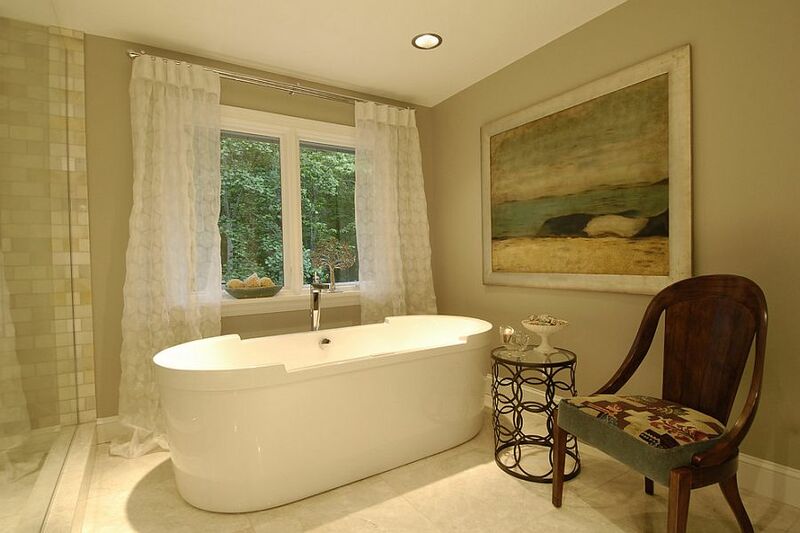 Apart from style and pace, another essential aspect the defines your choice of side table next to the bathtub is functionality. 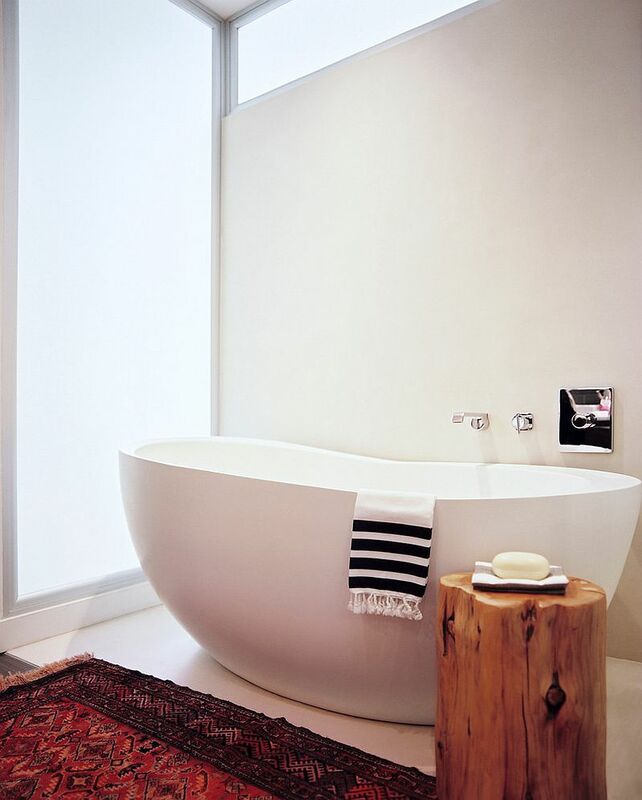 A side table with a larger top will obviously allow you to place all those necessities such as fragrances, essential oils and body scrub on it with absolute ease. 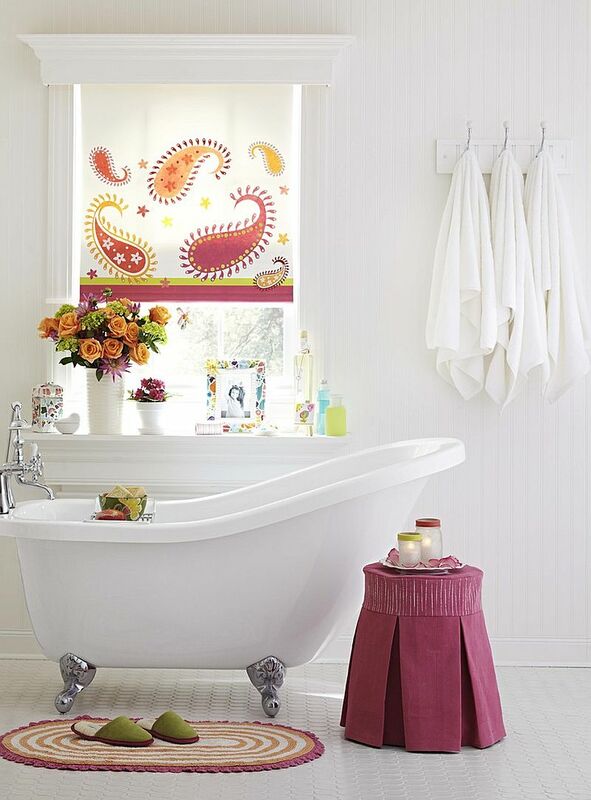 Others might view the small stool as a mere aesthetic addition that holds up a vase with flowers or a small potted plant. 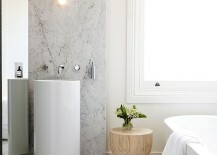 If the latter is what you are looking for, then form definitely takes precedence when picking the right side table. 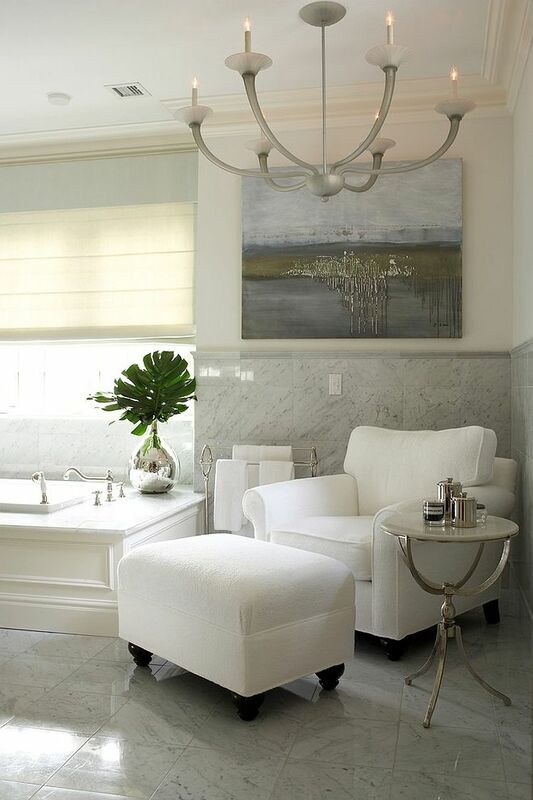 And if you just want to give the trend a shot before committing to it, then just add an appropriate side table that already sits in your living room to the bathroom. 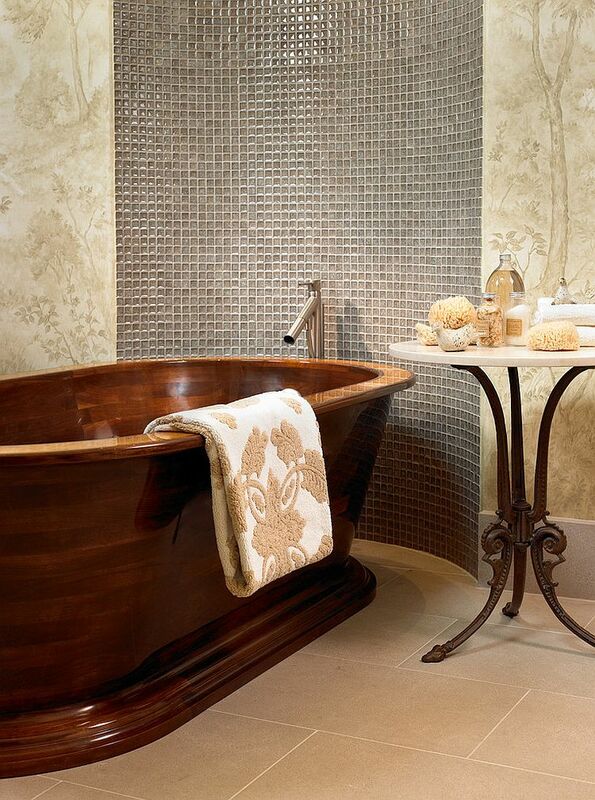 When it comes to a small side table next to the bathtub, this is our absolute favorite. 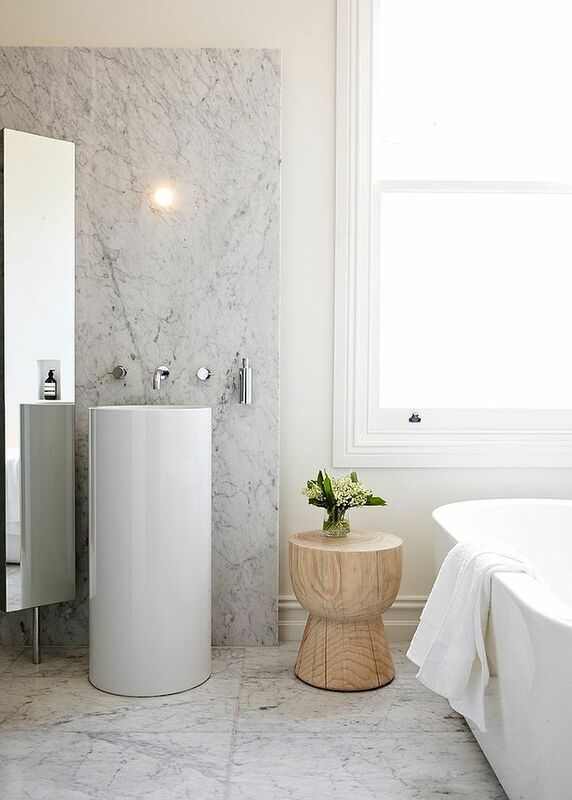 The tree trunk stool is a classic that never seems to fail, and it is even more visually appealing when placed in a posh, contemporary bathroom. 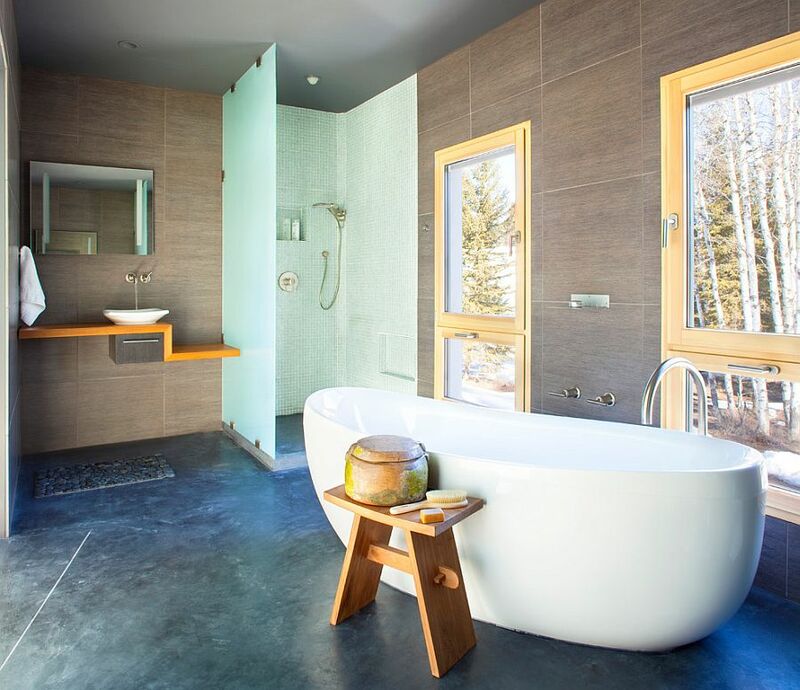 Since most modern bathrooms feature polished stone, glass and stone surfaces, the presence of natural wood always seems welcome. 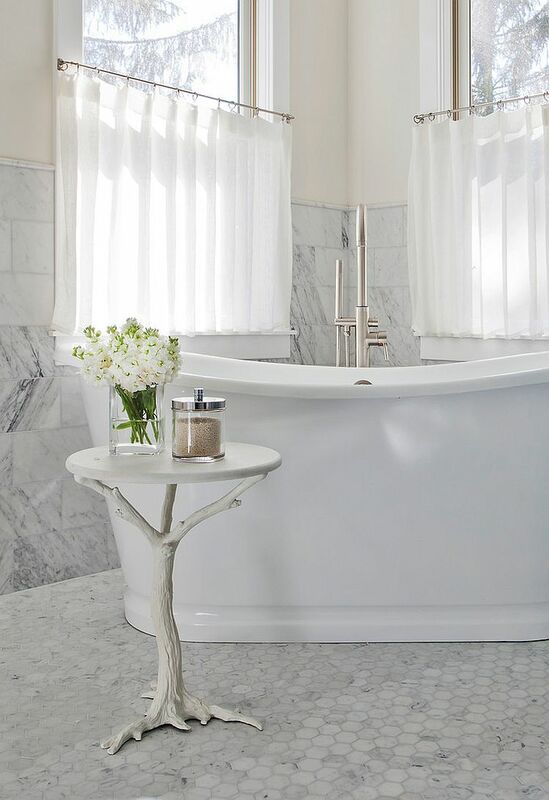 Of course, this woodsy side table comes in a wide range of shapes and forms, and some of them are even painted to fit in with the color scheme that you already have going in the bathroom. 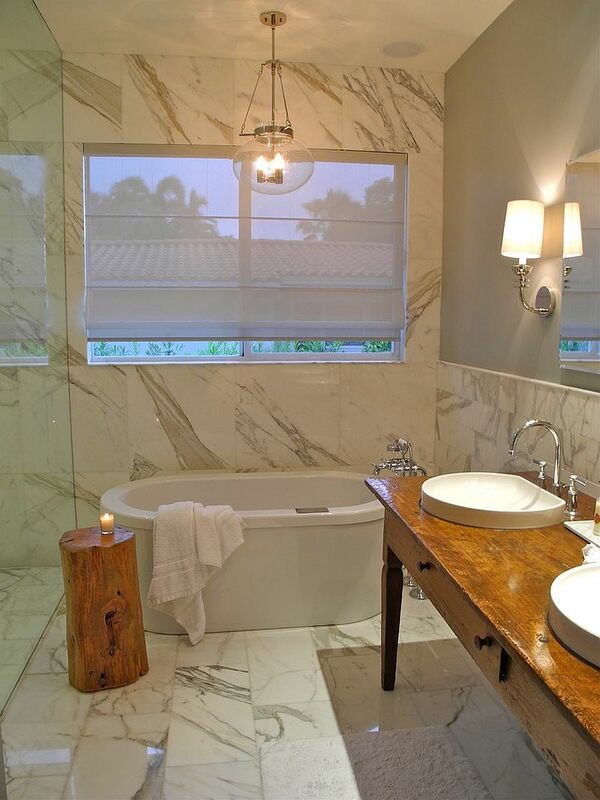 Whether it is Asian, rustic, vintage or contemporary, this is a side table style that is timeless and trendy. 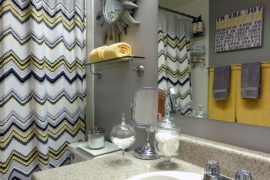 Maybe what your bathroom needs is a hint of color or some sparkle! 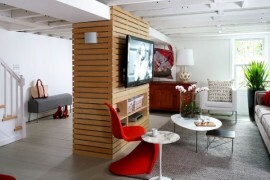 The small side table can get this done as well, and the more neutral the backdrop, the bigger impact it makes. 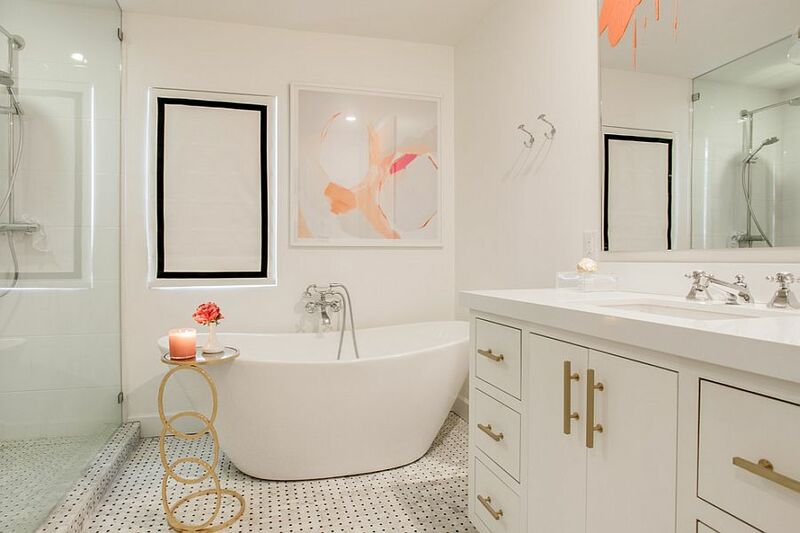 With metallic accents topping the popularity charts this year, a fashionable side table in gold, silver or copper could be just the thing to revitalize the boring bathroom. Bold colors such as orange, pink or red, or a touch of black that anchors the room can be added using these unassuming side tables. 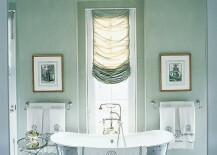 This also allows you to alter the color palette with changing seasons and trends without much hassle.